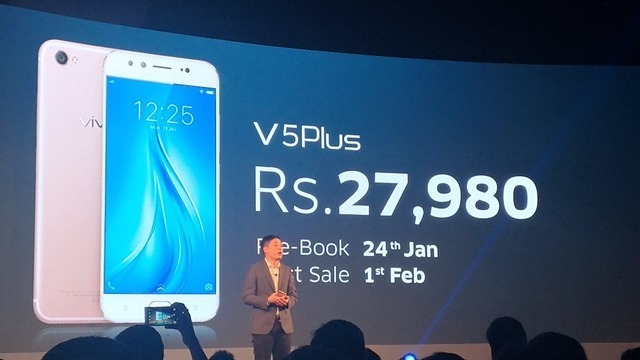 The Vivo V5 Plus has been officially launched in India. The phone features a dual front camera setup with a 20 megapixel Sony IMX376 lens with an f/2.0 aperture, 1/2.78",5P lens and an 8 megapixel lens with Moonlight front flash, for selfies. These cameras allow for special effects such as depth of field effect, and Bokeh Mode. The rear camera is a 16 megapixels lens. The V5 Plus has a 5.5 inch 1080p Full HD display, and runs on Funtouch OS 3.0, which is based on Android 6.0 Marshmallow. The device is powered by an Octa-core Qualcomm Snapdragon 625 processor, clocked at 2.0 GHz, with 4GB of RAM. The phone comes with 64GB of internal storage, has a AK4376 dedicated Hi-Fi audio chip, and a front placed fingerprint scanner embedded in the home button. 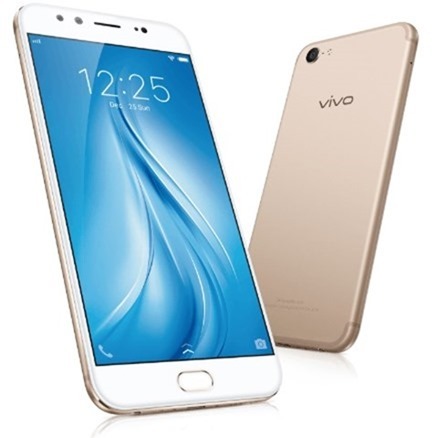 The Vivo V5 Plus is backed by a 3,055 mAh battery, which supports fast charging with Vivo's Dual-Charging Engine. The phone supports Dual Nano SIM cards, with Dual Standby and support for 4G LTE.